This months topic for debate is - PORTFOLIOS of your balloon work, whether it be twisting or deco. 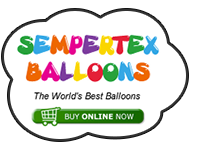 This is very topical because with any luck soon on Balloon Chat we will have a facility to have your own portfolio. How do you decide what photos to put in a portfolio? Is it just the balloon sculpture, or are you in it/the recipient? Photo albums? Online? On your Website? Whats best??? Any other ideas for Portfolios? I'm looking forward to this as I need to get a portfolio together! Yes fingers crossed Danny that it may even be tomorrow that the album comes onto the forum and everyones profile page to upload a portfolio. How do you decide what photos to put in a portfolio? Almost all of my sculptures go into my portfolio. My bhq portfolio is not set up as a showcase of my skills even though it does that quite well. Mainly it's set up as a resource for other twisters to gather ideas from. I even make sure the photos each have a couple of different tag words so that they can be found easier (like for a cardinal I would also use the word "bird" in the description). I might have taken a different stance if I weren't the only Balloon Lady in my area and needed to really compete for market space. Do you watermark? Kinda, sort of How? The background I use is distinctive. There just isn't that many people out there using a tan shower curtains as their backdrop. Is it just the balloon sculpture, or are you in it/the recipient? I avoid photos of me like the plague. Except for the rare occasion when I take a camera to the restaurant with me, I don't take pics of balloon recipients so my portfolio is mainly filled with just photos of sculptures. Photo albums? Online? On your Website? Whats best??? If I were computer literate and could build and maintain my own website, I would have "some" photos on it with a link to my bhq portfolio for those wanting to look at more. Except for the small digital version I no longer I use a photo album. The vast majority of people wanting to hire me already have seen me working. They don't need to look at photos to get an idea of what to expect when I'm hired. Any other ideas for Portfolios? I take my digital album to work with me. It's about the size of a credit card. It holds photos of larger sculptures that I have made but don't have time to make right there on the spot. Sometimes I let customers look at them as proof that can make what I claim I can... like Buzz and Princess Tiana. It also holds photos of paintings I have done and of jewelry I have made. Got it together. Forgot where I put it. Thanks for your answers Bonnie. Can anyone think of more questions to ask those with Portfolios? LOL I had meant to respond ages ago but didn't want to be first ... again! For twisting I only really have my website photo album. I keep meaning to take some more photos and maybe sort out a little album that I can keep on me but I never get round to it. More just to show people if I am chatting and think they may require a twister. For the decor I am still building my portfolio. From the training I have done it would seem that a bragging portfolio of about 20 photos of your best stuff is the way to go but also to make sure it has a nice variety. You then have an idea's book with everything else in it. However, I am tempted to make up a couple of different portfolio's so that I can have one dedicated to weddings, another to parties / corporate, another to deliverable stuff and the last one for bespoke sculptures. It will have pretty much the same stuff in as my website but it will mean a wedding couple will not have to look through kids party decor photos (unless they want to of course) and a corporate client won't have to trawl trough loads of wedding photos to see what is relevant. 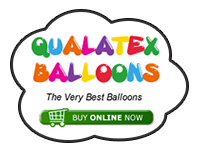 I have also just been on Qualatex' retail portfolio course so now have their deliverable balloons portfolio but will have to narrow it down as there is a lot in there that I wouldn't necessarily offer and some that I would probably only offer on pre-order service. I did hire a hall a few weeks back and a friend (pro tog) came along and took pics but I haven't even seen them yet. Suppose that is the downside of a mate doing it for free as I don't like to push things but I would like my photos :? I have a portfolio (my own work) and an ideas book (pictures of other people's work that I have permission to hold a copy of). The pictures I use in my ideas book are predominantly large scale decor items I've not been asked for yet (and hence not in my portfolio), but are pieces I know how to create and install. Like Yvonne, I've been 'taught' the same numbers (ie. 20 or so photos) but I've never really understood how this seemingly arbitrary number is arrived at. :? I have a couple of photos at different angles of virtually everything I've done, in printed 6x4 photos in an album and organised into event types, as you never know what might catch the eye of a prospective client - I never try to second guess what decor or sculptures a client may be interested in before I meet them. Yes, I try and guide or help them with particular sections of both books, but always go into meetings with an open mind. Generally I find clients seem to quite enjoy looking at and passing comment on pictures of balloon work - even if it's not a piece they're interested in. So I use prints. In my experience people want to look at and physically hold something like a photo when their mulling an idea over, rather than only be able to view them online or digitally. Further, I find that the quality of the printed image is far greater than that of my website images. I don't watermark my pictures on my website as a) if someone wants to pass them off as theirs then I'm flattered but would also feel it's a little sad of them (to my knowledge this has never happened) and b) if I can do it - then if you're calling yourself a balloon artist then you really should be able to do it too and therefore don't need my pictures. I'm not exactly David Grist / Linda Bruce / half the talented people on this forum...! I use Facebook to construct a portfolio, I'm working on faces at the moment and posting them on there, it's great as I get comments and feedback. I also have a fan page that I promote at parties so people can follow me. I should get a hard copy together so I can show people when out but when you can get online on your phone I don't really see the point? Think you will find the 20 pictures comes from web designs and is something to do with size and space. Personally I think we are creative people who rely on others seeing what we can do and have done, so take no notice of that at all. My website has and always will be set up as my portfolio adn will always carry a large number of pictures on it. I know at the moment the gallery is not up to the standard it has been (my answer - dont have a fall out with your webmaster if you have one!!) but it will be back to the standard it was soonish.. With all that we have offered over the years and built in our sculptures it would be difficult as to which ones to choose to reduce to that number. I have often been told by a client that they have spent upwards of 2 hours looking through the pictures and local hotels take delight in seeing what new pictures we have added, some spending more time on it than I do. How do you decide what photos to put in a portfolio? I used to put everything in. Now I put in images I think will enhance my portfolio in some respect. Do you watermark? Yes. How? The gallery script I use on my website does it automatically. I uploaded my watermark image - a semi-transparent image I created in photoshop - to a specific folder. Every time I upload a balloon image (batch or single images) I check the box that says 'watermark?' and place it in the lower right. Even with that, my images have ended up on different websites and also ebay to promote someone's dvd. Is it just the balloon sculpture, or are you in it/the recipient? It depends on the sculpture. If I can get a picture of someone enjoying my balloons I'll use it -I'm selling entertainment, not just balloons. Sometimes I want someone in the picture to relate the size of the piece. Photo albums? Online? On your Website? Whats best??? I can't say what's best but I do have an opinion (imagine that). An online presence is a must. Since you have a website, why not add a portfolio? Once that's in place, a web-enabled smartphone is all you need to show anyone your portfolio at any time. Any other ideas for Portfolios? No, I'm not very creative. Anymore contributions from those with portfolios no matter how small? How do you decide what photos to put in a portfolio? I have a lot of pictures in mine. I front-load it with my large-scale sculptures to wow folks, then have pictures of cute kids with cute balloons later on. I actually swapped a few old ones out in my last incarnation as I'd simply made better work since then. Do you watermark? Nope. I have it online as a PDF so it's a tad harder to steal than a JPG, but still possible if you really want it. My thought is that if they can make the sculpture already then I figure they liked my camera work and if they can't make the sculpture I get to laugh, knowing they set their clients' expectations too high. Photo albums? Online? On your Website? Whats best??? My portfolio is created in word, saved as a pdf and uploaded to the website as a flipbook. http://Briansballoons.com I also have a copy laminated that comes with me to every event, including restaurants. It's amazing how many young adults would pass on balloons, but re-think it once they see I've made a full-size elephant. The portfolio lets them know I do bigger and better stuff than they're used to. Also, for parents considering me for a party it lets them know that even though I only made their kid a 2 balloon duck hat I can do a bang-up job at special events. Any other ideas for Portfolios? Don't forget a page at the end that talks about parties and tells em to ask you for a card.